How adorable are these sets? It is getting to be that time of year when everyone needs news jammies and fun things to do! I love these sets and Kushies has so much for the whole family! Kushies is a Canadian based company that manufacturers and sells a hug variety of family-friendly products. From clothing and toys to bedding, feeding and diapering, Kushies has what you need. 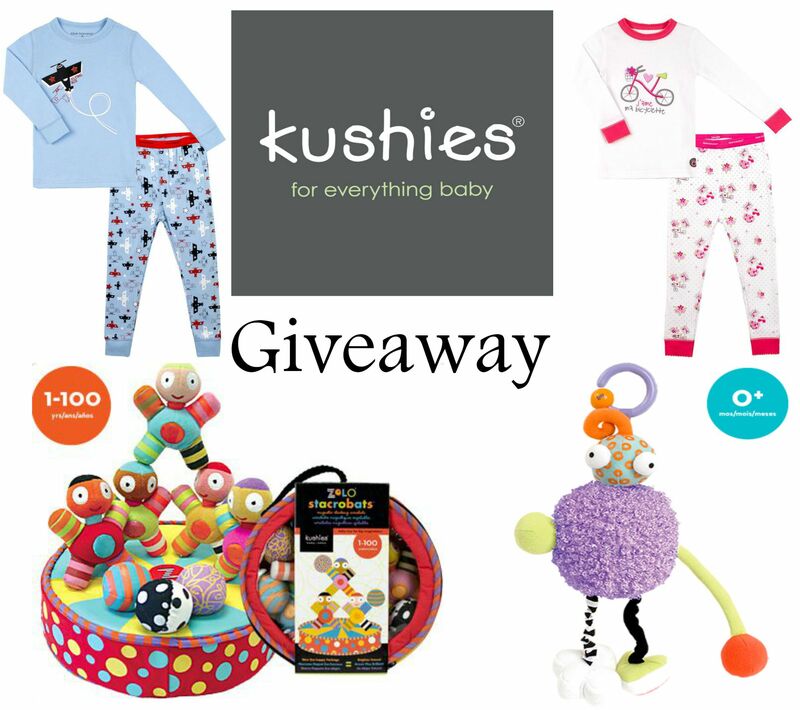 Kushies is sold in retailers like BuyBuyBaby & Amazon, as well as their own online store. MamatheFox wrote a full, comprehensive review about Kushies and many of their fabulous products. Please read the full review here. The retail value of the package can be as high as $136!